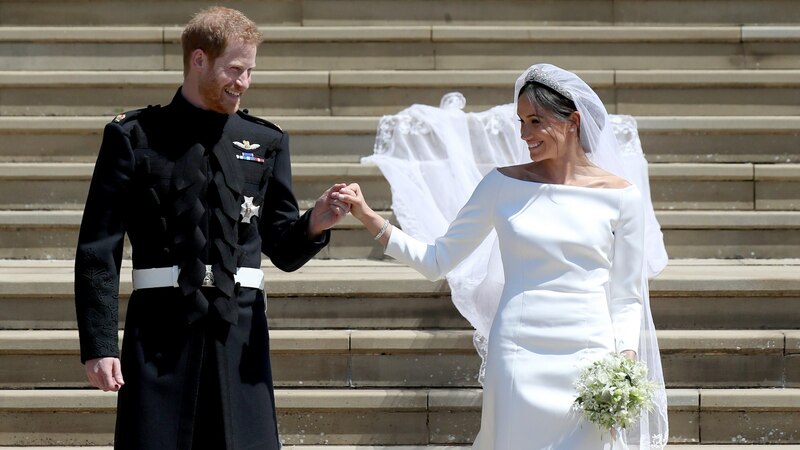 With all the hubbub of the royal wedding behind them, Prince Harry and Duchess Meghan of Sussex, whom you might know better as Meghan Markle, deserve some time off. Over Memorial Day weekend, we learned via TMZ that they’ve decided on a royal honeymoon spot that is quite close to us Americans. The couple will reportedly be jetting off to Canada for a stay at the Fairmont Jasper Park Lodge in the small town of Jasper, Alberta, and it sounds like the perfect place to relax. According to the report, the newly minted duke and duchess will stay in a 6,000-square-foot cabin at the resort, which is considered a Canadian paradise. With the cozy, small-town atmosphere and beautiful surroundings, we can’t imagine it’s anything but. A source told TMZ that the resort has ordered some special “gear and goodies” that it doesn’t normally have just for the royal couple. With things like kayaking, skiing and boating listed on the resort’s activities and services page we doubt Harry and Meghan will get bored during their stay. The cabin Harry and Meghan will reportedly stay in is called the Outlook Cabin, although we’re more intrigued by its other name: “The Royal Retreat.” As explained on the lodge’s website, in 1939, King George VI and Queen Elizabeth, the Queen Mother, stayed there and Queen Elizabeth II and Prince Philip spent time there in 2005. The site also describes the cabin as having six bedrooms and bathrooms, two fireplaces, an enclosed conservatory and veranda, a terrace with a barbecue and a kitchen with a private catering entrance. Sounds like they could host an awesome house party or just Netflix and chill with as much privacy as they want. Though the costs of security are sure to be high, the couple seems to be keeping it frugal with their choice. On the site, you can see that a room can be booked tonight for $600, though the rates go up as summer goes on. That’s quite a chunk of change for sure, and the sumptuous cabin will likely cost more, but it’s still much less than some sought-after resorts during the busy summer season. It should be noted that one local Canadian news station is reporting that the lodge has denied that the couple are booked at the lodge, but perhaps that’s just a security precaution. No dates for the upcoming honeymoon have been reported yet. The Daily Express does report that before the couple arrives in Canada, they’ll touch down for a one-night stay in Ireland sometime in July. It’s too bad the lovely couple couldn’t head off to relax on their honeymoon right after the wedding, but we wish them the best on their retreat whenever they manage to carve out the time to just be newlyweds.